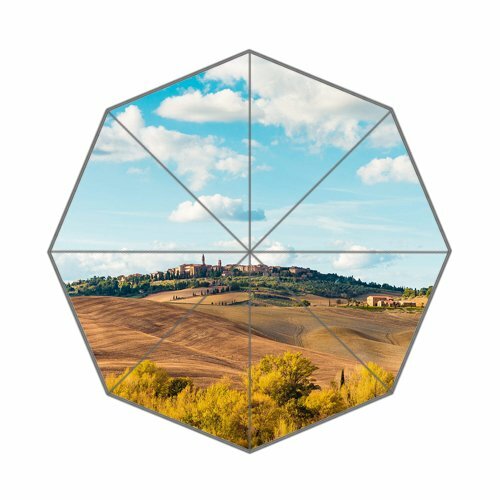 Flipped Summer Y Beautiful Tuscan Landscape Around Pienza Town, Italy Customized Art Prints Umbrella by Flipped Summer Y at MZ Italia. MPN: Flipped Summer Y6063. Hurry! Limited time offer. Offer valid only while supplies last. This stylish umbrella is made of 100% polyester pongee waterproof fabric, easy carrying for everyday use. Wanna be cheered up in any dismal weather?